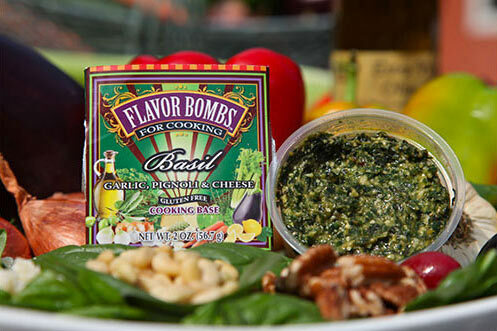 Your Basil FLAVOR BOMB can be used as a base in sauces, soups, stews, marinades, stuffing, bread crumbs or dips. 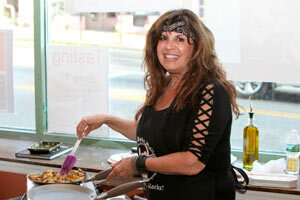 Mix it into meatballs and meatloaf, or ricotta for ravioli filling. Add it to tomato sauce or use as a pesto over pasta. It’s perfect for stuffed artichokes and mushrooms. It makes an excellent clam sauce. Use it with a Soffritto FLAVOR BOMB for all your Italian dishes. Ingredients: organic basil, extra virgin olive oil, pecorino romano cheese, Mediterranean pignoli, garlic, organic parsley, salt, pepper. © Copyright 2017 Flavor Bombs. | All Rights Reserved.